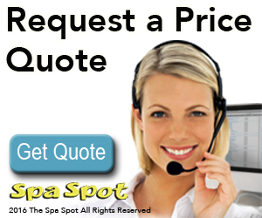 No one can compare to the Spa Spot for providing the best swim spas and hot tubs in St. Albert and across Northern Alberta. With all the best brands and accessories, the Spa Spot can provide you with an exceptional hot tub experience. We’ve also go games tables and accessories to supplement our outstanding selection of hot tubs for St. Albert. That outstanding selection includes St. Albert hot tubs with an assortment of features so you can tailor your tub to your lifestyle. Every hot tub is built to exceptional standards so you get a quality product and experience. We can also provide you with a great gazebo, patio or patio furniture to complement your new hot tub. Finally, take a look at our far infrared saunas. These luxurious saunas create soothing, evenly distributed warmth for the perfect finish to your St. Albert hot tubs experience. If you’re looking to do even more entertaining, the Spa Spot features a broad selection of games tables and home bars. With quality poker, pool, and ping pong tables, paired with an elegant home bar, make the perfect complement to your hot tub. As St. Albert’s hot tubs and home games tables experts, we’ll be happy to make sure you create exactly the home entertaining experience you’re looking for. Of course, being St. Albert’s hot tubs experts mean we’re second to none, and that’s a reputation we take seriously. We focus intensely on providing the absolute best customer service. As St. Albert’s hot tubs experts, we’re always training our staff on the latest hot tubs technology, and all staff regularly attend annual manufacturer training. Add to that fast and courteous service for water balancing , warranty claims, and virtually any other service reason, and you have outstanding customer service. For all of St. Albert’s hot tubs needs, the Spa Spot’s expert staff, accessories, and of course, brand name hot tubs make us the perfect choice for your next hot tub. Call us today. As a leading retailer of hot tubs in Edmonton, we believe flawless customer service is the key to success in the Edmonton hot tubs business, and that’s why we’re always there for our customers. Whether it’s assisting on a warranty issue or just water balancing a hot tub, we make sure our culture of exceptional customer service strengthens our bonds with our customers.